The wearable market is growing rapidly. Every month (perhaps even more often), Chinese manufacturers release new devices. The Zeblaze company is known for its Android smartwatch. The Zeblaze Thor 4 watch series is one of the most popular on the market. Recently, the Chinese manufacturer has introduced another version of the smartwatch called Zeblaze THOR 4 Plus. 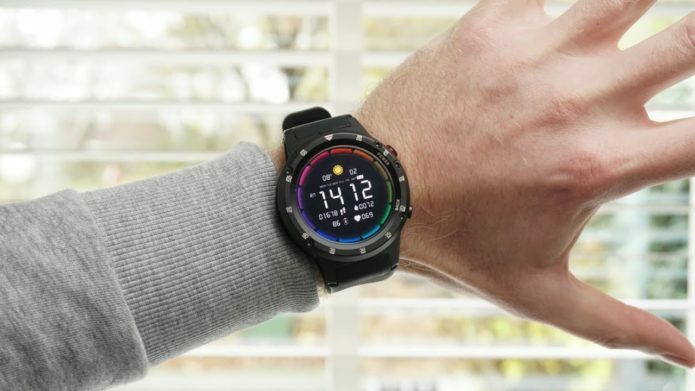 Zeblaze THOR 4 Plus smartwatch is a little bit more expensive than Thor Pro, but the new watch has a larger battery, a better processor, a higher screen resolution, a new version of Android 7.1 and, most importantly, 4G LTE support. As you can see, the Zeblaze THOR 4 Plus looks much better than the Zeblaze THOR Pro, but let’s make the final conclusion after a full review. As usual, we start with unpacking.